A frequently asked question from Drupal users is “Which Drupal modules do one should include on a website?” One can extend a simple & small site into a colossal with essential Drupal modules. So, to harness the true power of Drupal one can rely on some essential Drupal modules. And, you are at the right place as here you will get all that you need to build a fast, efficient and an amazing Drupal website!! Drupal is a popular platform due to its uniqueness and flexibility for creating amazing websites worldwide. And, to extend its functionality thousands of Drupal modules are there. Different Drupal modules will add different functionality to the site. For a new webmaster, it will be really tough to choose among different modules. Unnecessary modules will put a burden on site resources and make it slow. So, it is crucial to find that what are the only Drupal must-have modules. I have prepared a list of Drupal modules to add all the essential basic functionality to your site. It includes Drupal 8 modules as well as Drupal 7 modules. Here at Templatetoaster Drupal theme generator, I hope this list of Drupal modules will sort many of your big problems. So, check it out !! The admin toolbar extension is a great replacement for the popular admin menu module in Drupal 8. It gives a drop-down menu to quickly access the sub-items in the toolbar. It proved to be a huge time saver for developers. So, it improves the user experience for the site developers and administrators. With 8,691 installs it is a top-ranked Drupal 8 module. This is probably the first Drupal 8 module to add to your site. Performs the basic file operations: upload, delete. Can also run the image operations: resize, create thumbnails, preview. Supports the private file system. Marks the configurable limits for user roles: file size per upload, directory quota, file extensions etc. IMCE provides personal or shared folders for users. Responsible for FTP – like directory navigation. It does file sorting by name, size, dimensions, date. Provides built-in support for inline image/file insertion into text areas. It enables multiple file selection. For maintaining a full-fledged image gallery, you can check the Drupal Gallery Modules. PathAuto is one of the Drupal must-have modules. It generates the clean SEO friendly URLs according to the web page. These URLs are relevant so assure that the pages will rank high in search engines. A user doesn’t have to specify the path alias manually. So, it is a great time-saver for a Drupal developer. Looking to deep dive into Drupal SEO, check out our ultimate Drupal SEO guide. Devel is an important Drupal 8 module. It provides a range of information combined with its testing tools. It gives a better insight of the system you’re operating in. This helps you to identify the potential website slowdowns and make you more productive in the end. So, it is a great module for developer debugging. Devel is full of features and combines many sub-modules: WebProfiler, Generate content, Drush. It adds a footer to all the pages of a site. And, tells about the number of queries generated and gives you information about the request. It gives the information that how many times the cache was consulted. Also, informs you about how many caches hits or misses there were. So, It gives a better sense of how your website works, and how to debug it. In short, it helps the admins to review resource utilization, cache effectiveness, Views, and much more. Next, sub-module is Generate Content which generates example data for your Drupal website. It is helpful if you need to test your site with dummy users, content, and other data. It will create it all for you in a moment. Lastly, Drush adds the feature to access Devel’s functionality via the command line. Track certain users, roles and pages selectively. Monitors what type of links are tracked. Monitors the downloaded files from your pages. Provides Custom code snippets & site Search support. Adds AdSense support & Demographics and Interests support. Supports Drupal messages tracking & Modal dialog tracking. Caches the Google Analytics code on your local server for improved page loading times. Provides an Enhanced Link Attribution support. Enables User ID tracking across devices etc. Google Analytics is a simple must-have Drupal 8 module. It provides Google Analytics with above listed and much more statistics features to a Drupal website. Plugins tools to make it easy for other modules to implement plugins from .inc files. Exportables tools to have objects that live in database or live in code, such as ‘default views’. AJAX responder tools for easy handling of AJAX requests by the server and tell the client what to do with them. Form tools for easy dealing of forms with AJAX. Object caching tool to cache and edit an object across multiple page requests. Contexts tools are used as the notion of wrapping objects in a unified wrapper. Ctools also provide an API to create and accept these contexts as input. Modal dialog tool for easier embedding of a form in a modal dialog. A dependent tool that works as a simple form widget. It makes form items appear/disappear based on the selections in another item. CSS tools to cache and sanitize CSS easily to make user-input CSS safe. 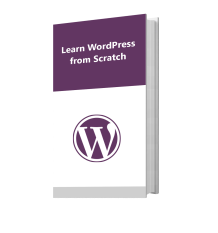 Undoubtedly, this is one of the most popular modules of Drupal. According to stats, it has over 90,000 installs. This single module serves many purposes. You need Views if you want to sort the front page, taxonomy differently, want to use tracker with special restrictions etc. For different representation of an article, want an “unread forum posts ”, a monthly archive of posts, you will also need Views. So basically, it helps to fetch data from the database of your site and present it to the user in different site formats. Such as lists, posts, galleries, tables, maps, graphs, menu items, blocks, reports, forum posts etc. It also includes a sub-module named – Views UI, a graphical interface. That actually is a powerful SQL query builder. It can access any information in your database virtually and can display it in any format. It is mainly used to backup/restore multiple MySQL databases and code. This module adds a note to backup files. Provides smart delete options to manage backup files easily. It is able to backup to FTP/S3/Email or NodeSquirrel.com. It customizes ShareThis code using the STAPI. Facilitates you to select node types you wish to display ShareThis module on. Makes the choice to display in $teaser view or not. It makes the selection to display the ShareThis link in either the $link items or in the $node->content. Customizes the weight of link if in $node placement. It places a ShareThis block anywhere on your site. Beta version is also released for Drupal 8. Security module allows you to move your administration panel from /admin to secret/something. So, it provides safety against vulnerable attacks to admin pages as the location doesn’t exist. It enables client-side password hashing. Captcha works as a spam control Drupal 7 module. Only the beta version is released for Drupal 8. Basically, it applies a check on web forms that the user shouldn’t be a spambot. A bot is an automated script that posts content anywhere. So, it works well as a spam prevention Drupal module. This module has API functions to create, save, delete, view etc. It can determine access for any entity with entity_create(), entity_save(), entity_delete(), entity_view() and entity_access(). It introduces a unique place for metadata about entity relationships and entity properties. Furthermore, this module provides data wrappers that make use of the available information to provide a simple and unified access to entities. It also helps to define a new entity type by specifying an entity controller, which implements full CRUD functionality. Helps in creating fieldable, optionally revisionable entities as well as exportable entities. Supports the implementation of bundle entities, i.e. bundle objects for fieldable entities implemented as (exportable) entities. Every developer has a vision for a dream website. Now, you have enough knowledge about must-have Drupal modules. So, you can customize a website to give a high performance with significant features. With Drupal modules, building your dream site is not far away. Drupal modules can extend the functionality of a website and shoot it to the next level. Are you still thinking to design a fresh Drupal website? 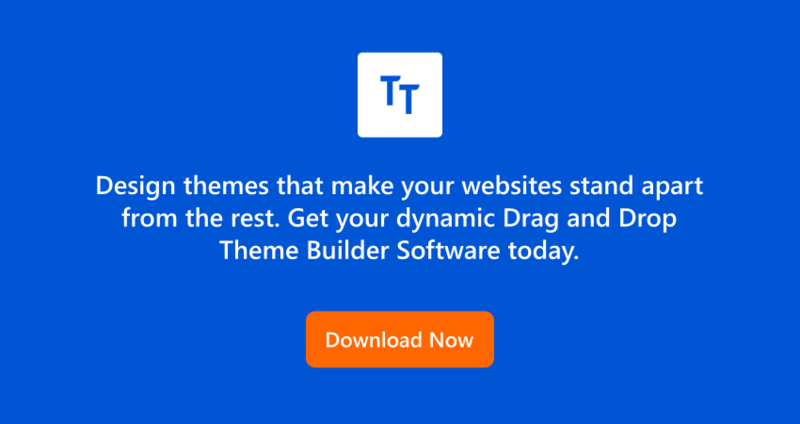 Go ahead and try our Drupal Theme Generator and website builder software which encapsulates all the advanced features of designing a website and it’s easy to use. No coding is involved at all. Moreover, all the themes will be compatible with Drupal modules to add any custom features.